I did not get to stay at this place but my new friend Mike knows Boquetti very well and took me here to show me this hotel — Pension Marilos. 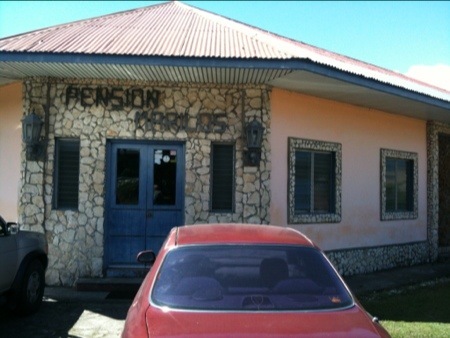 You will find Pension Marilos on the street that has the police station. it is a bit further from the town square, and is also en route to the Library. The owner speaks. Like many places to sleep in Central America, there are dogs inside. I did not ask if the dogs are permitted on the furniture.